On our way down to Abruzzo for my mother-in-law’s 80th birthday, we stopped for lunch near Modena, the home of balsamic vinegar. Quite by accident (although this kind of accident is not unusual in Italy), we found an excellent restaurant, La Quercia di Rosa (the Rose Oak – ?). They make their own balsamic vinegar, and, as the proprietress said, it’s so good that you can put it on everything or even drink it by itself as a digestivo (after-dinner digestive drink). The thin industrial balsamic vinegar that you can buy at the supermarket is only a very distant relation to this syrupy, sweet-sour nectar. For starters, we had it sprinkled on aged parmigiano (parmesan cheese). The combination of flavors somehow reminded me of walnuts, though there was not a single nut in sight. 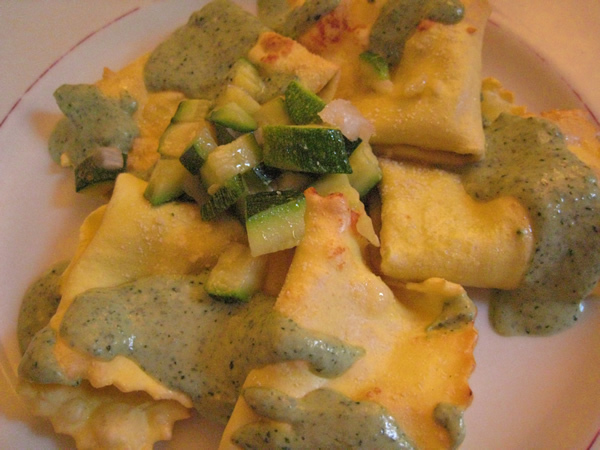 For my first course, I had pockets of lasagna dough baked with a zucchine filling, with a creamy basil sauce. Light, flavorful, and not too filling – perfect for the season. Enrico had tagliatelle with fresh porcini (wild mushrooms) – also in season now and absolutely yummy. 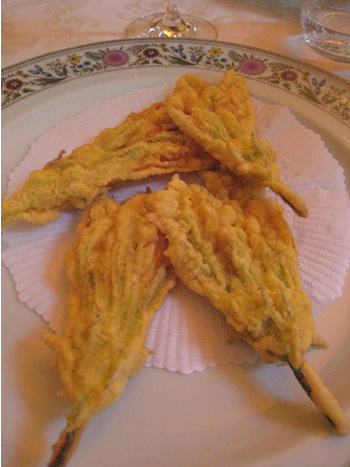 My second course was zucchine flowers, dipped in a light batter and deep fried. These were very good just as you see them above, and even better with a few drops of the house balsamic. Enrico had tagliata di manzo (sliced steak) – very good meat, well flavored with rosemary and pepper. Ross had sole cooked with… balsamic vinegar! 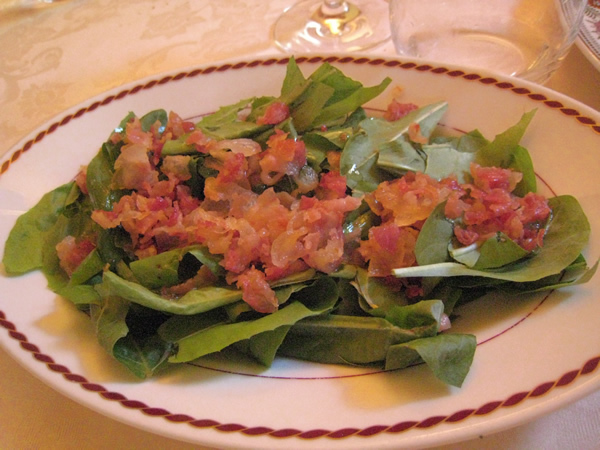 As a side dish, Enrico and I shared radicchio di campo (field greens) with a dressing of crispy pancetta (bacon – unusually for Italy, sliced thin) – we put some balsamic on that, too. 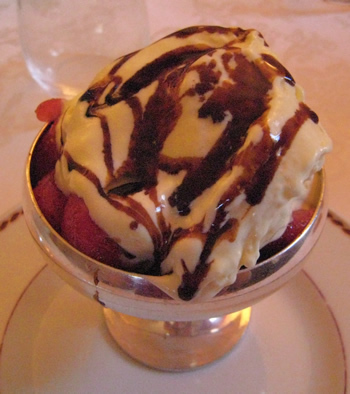 Fresh strawberries with gelato di panna (cream-flavored ice cream) and balsamic vinegar. Heaven! Total cost of the meal for three of us (two primi, three secondi, three desserts, half-bottle of wine, lots of water) was just over 100 euros. 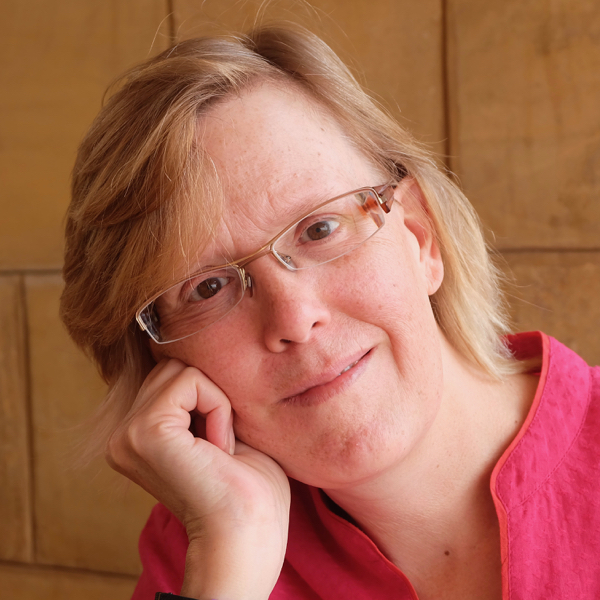 This entry was posted in Italian food and tagged Italian food, Italian restaurants on July 7, 2007 by Deirdre Straughan.